Great information here. Thanks Wayne, much appreciated. 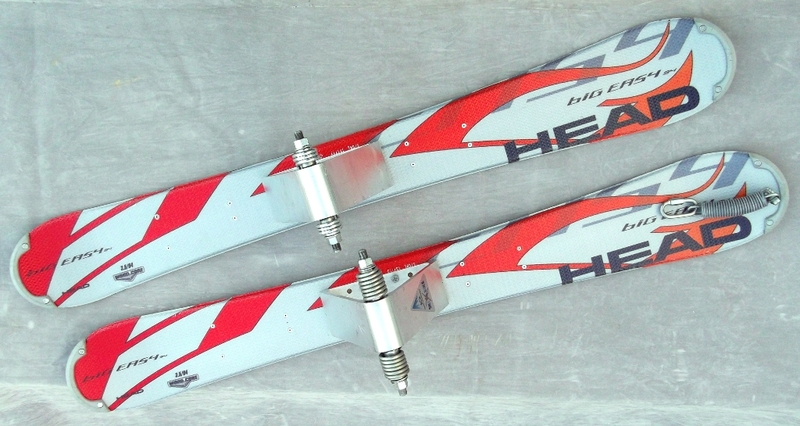 I'm gathering parts for 2 ski bikes right now. Looking at 100cm skis and finding that kids' skis are a fraction of the cost of "snowblades" or "skiboards". Kids' skis are surely much less stiff than the adult snowblades or skiboards but the latter is designed such that the adult's weight is almost 100% over 1 ski during a turn whereas I'd think on a ski bike the weight is distributed more evenly over both skis during a turn - that leads me to think a kid ski designed for someone half my weight might be just right for a ski bike. Thoughts?